On the other hand, we offer paid pick up service either from Airport or Train Station, through one of our recommended drivers. We have our hotel own Doctor, who is at service 24 hours and in case if you need him, he is available in 01 hour time of your requirement (paid service). 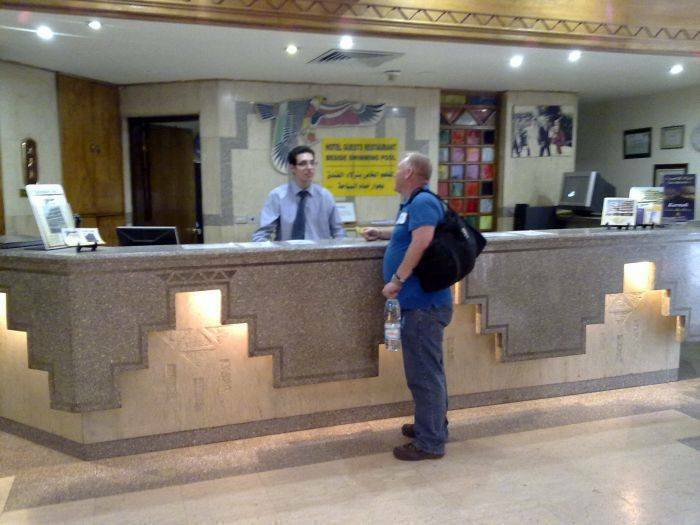 Our Reception and Concierge desk can offer helping guests buying Bus, Train or flight tickets. We have 24 hours services specially security for main gates and floors. Free safety deposit boxes available in Reception for the whole stay for all valuable things including passports. Room service for all menu items is available 24/7. 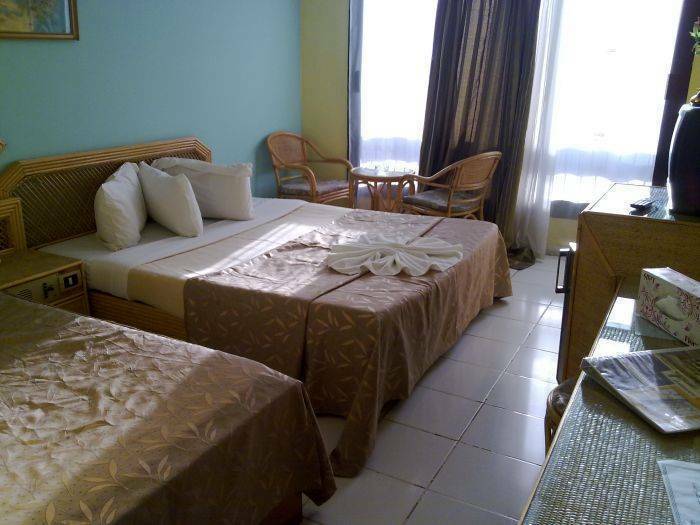 Rooms/Apartments: King size, Double, Twin and Family rooms are available, there is no limit to numbers in party, some rooms have interconnecting doors. 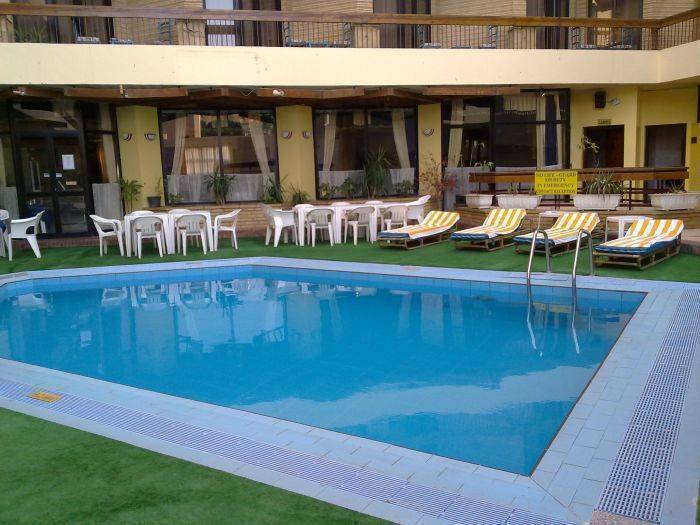 All rooms have en-suite facilities, air conditioning, telephone, television, Wi-Fi access, most have an enclosed railed balcony with seating. 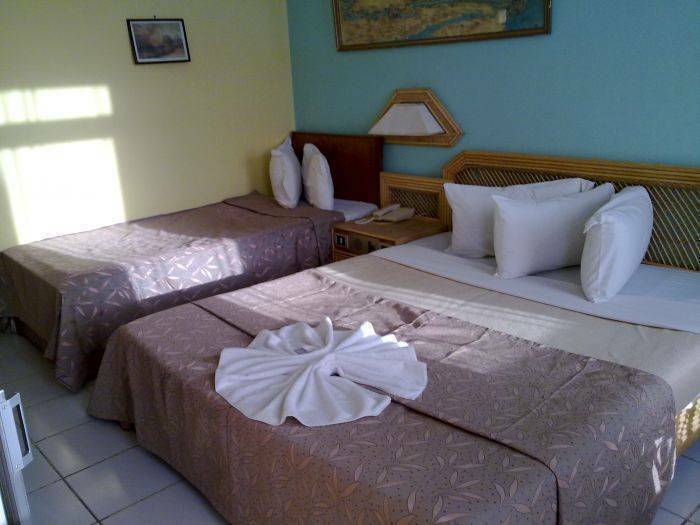 All rooms, Junior Suites and Apartments are cleaned, with linen and towels replaced daily. Cots are also available on request. Reception: Is available24 hours a day, dealing with numerous and varied requests, from trips, taxis to doctors and are acted upon immediately. Erving an extensive range of mouth-watering, freshly cooked Egyptian, English and International Cuisine, suited to the most discerning of palates. Open10am-after mid night. Breakfast is self-service offering a wide choice of hot or cold meals including fruit juice, tea and coffee served in the restaurant or by the pool. 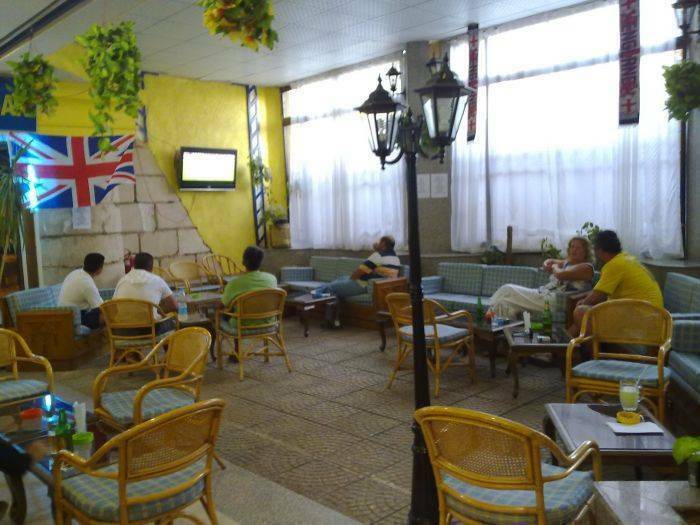 Enjoy an excellent variety of snacks, meals, tea/coffee, soft drinks and alcoholic beverages in a comfortable informal setting. confirmation dated, then it will be subject to 6% of The total amount received as transaction fees of the bank. 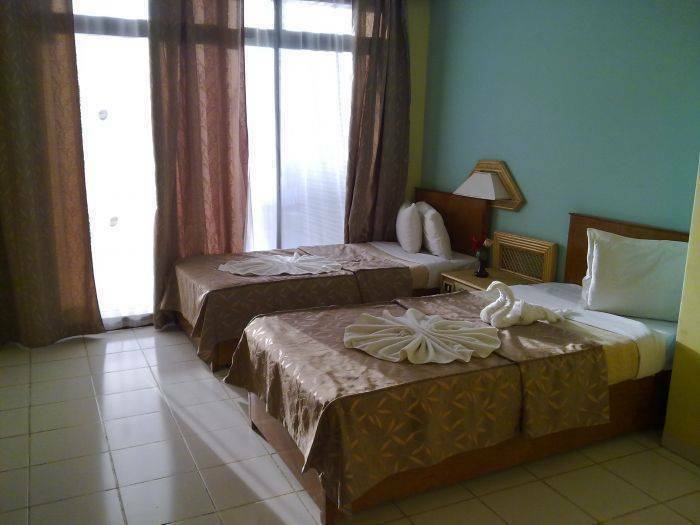 -30 days 25% of the entire booking charge will be deducted. -15 days 50% of the entire booking charge will be deducted. -07 days 100% of the entire booking charge will be deducted.